PLUS NEW SOFTCOVER AND LIMITED HARDCOVER OMNIBUS EDITIONS! FOR IMMEDIATE RELEASE: MILWAUKIE, OR—With more than two hundred issues and counting, Stan Sakai’s Usagi Yojimbo is among comics’ most monumental achievements. In celebration of thirty years of the marvelous samurai rabbit saga, Usagi Yojimbo is set to return in an all-new six-issue miniseries, Usagi Yojimbo: Senso, followed by the debut of the Usagi Yojimbo Saga collection! Twenty years in his future, Miyamoto Usagi fights as a general for Lord Noriyuki, against the treacherous Lord Hikiji. In the fury of the final battle, a metal rocket crashes to earth—and inside is an enemy that neither side could have ever imagined! Witness the final fates of your favorite Usagi characters, in this all-new samurai epic with a startling science fiction twist! 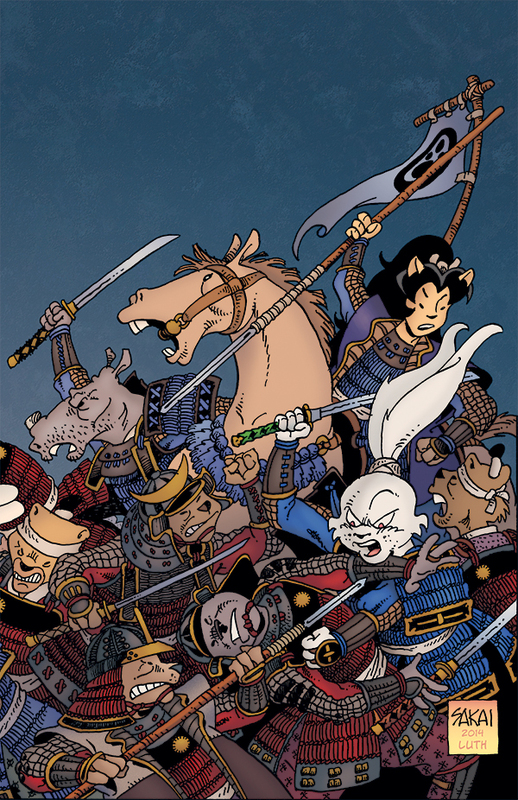 Usagi Yojimbo: Senso #1 is on sale in comic shops everywhere August 6! To celebrate the rabbit ronin’s thirtieth anniversary, Dark Horse proudly presents Miyamoto Usagi’s epic trek along the warrior’s path in a new series of deluxe compilations: The Usagi Yojimbo Saga. In the first volume, Usagi protects a village from a band of assassins, reluctantly engages in a duel for blood money, hunts a gangster who has stolen his swords, and more. Collecting Usagi Yojimbo Vol. 2 #1–#16 and Vol. 3 #1–#6, and featuring over six hundred pages of samurai action and adventure, The Usagi Yojimbo Saga is the ultimate introduction to Sakai’s enduring samurai masterpiece! 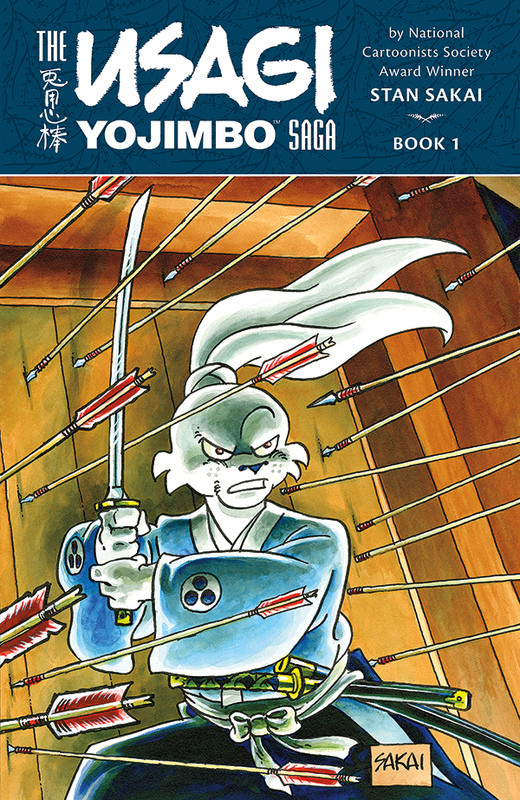 The Usagi Yojimbo Saga Volume 1 will be available in both limited hardcover and softcover omnibus editions in comic shops on October 15!